Mr. Horton joined Hovde Group in 2015 as a Director in the firm’s Equity Sales department. Prior to joining the firm, Mr. Horton was a Vice President at FIG Partners in the equity division and subsequently moved to focus on the growth of the FIG Asset Management business with the Fixed Income team. 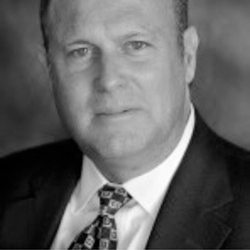 Mr. Horton has over twenty-four years of experience serving Mutual Funds, Pension Funds, Insurance companies, Hedge Funds, and Family Offices. His background in Research, Capital Markets, Equitable Securities and Robinson Humphrey. He has an in-depth understanding of investment management, financial markets, and trading strategies across equities, debt, and bank preferreds. Mr. Horton holds a BBA in Finance from The University of Texas and is a member of the CFA Society of Atlanta and the CFA Institute. Mr. Horton is licensed with the Financial Industry Regulatory Authority and holds the following licenses: Series 7, 24, 55, 63, 66.